Skinner & T'witch's 'Santa, Teach the World to Fly' played on David Bond's Folk, Roots & Branches show on 10Radio! Skinner & T'witch's 'Santa, Teach the World to Fly' played on Lizzie Jenkins' Christmas Northern Side show on BCB Radio! Skinner & T'witch are delighted that 'Castles in the Sky' was played by Alan Raw on his Best of 2015 show on BBC Introducing in West Yorkshire, which went out on BBC Radio Leeds and BBC Radio York! 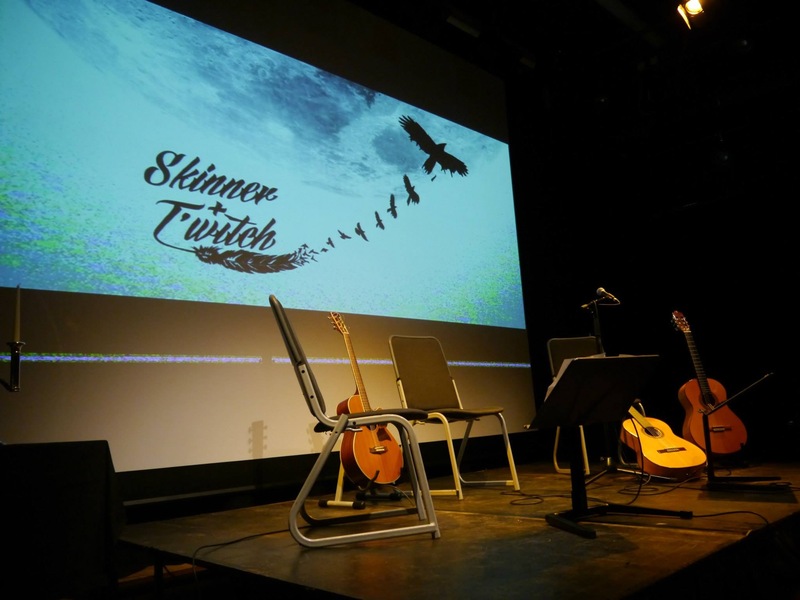 Skinner & T'witch's 'Santa, Teach the World to Fly' played on Colin MacDonald's Christmas Folkal Point Show on HBS, Glasgow, Dunoon Community Radio, An Radio, Radio Saltire, Revival FM, and globally online on Blues and Roots Radio! Skinner & T'witch's 'Santa, Teach the World to Fly' played on Neil King's Along the Tracks show on Blues and Roots Radio!